Finland loves their heavy metal so it is no surprise that they are the first to come out with a kid-friendly heavy metal band with dinosaurs. Yeah I know, I am as shocked as you that no one else has tapped into this market. 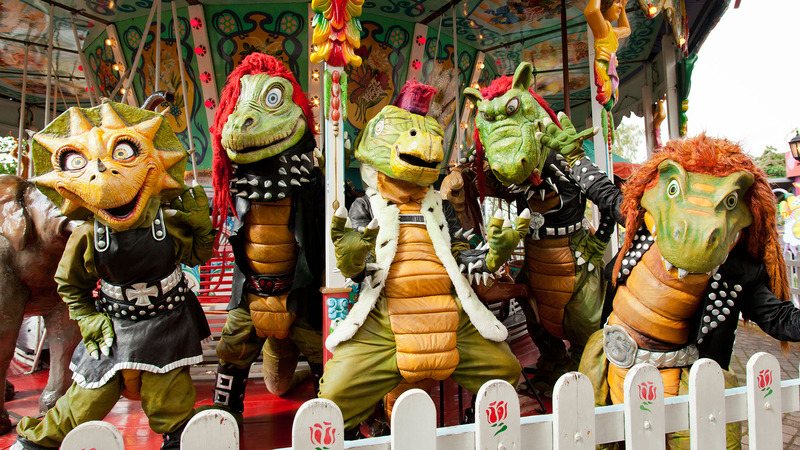 Reminiscent of a tame GWAR, these pre-historic dudes have a lot to say. I don’t speak Finnish sadly but my understanding from this Noisey article is that the songs are about things that kids are into. Drinking milk and playing with toys. You know, stuff. Apparently these guys are HUGE in their home country, have a bunch of releases out already and have recently signed to Sony Music. Hopefully an English album is on the horizon soon? Let’s hope so. We need more kid-friendly heavy metal in our lives. Check out the band’s website here with your trusty google translator in hand.